Helmets are the basic safety gear for two wheeler riders. They not only protect us from head injuries in the case of some mishap, but also shield us from unwanted dust, bugs etc. Since helmets are so important for our safety, it is equally important that we properly research and buy a good helmet. Here's a list of five top-selling highest rating helmets available on e-commerce websites just under the price of INR 999! The Vega Cliff Motorsport is the hottest selling helmet on Flipkart. Customers who have purchased the helmet have rated it an average of 4.0 stars, based on over 875 ratings. The company claims that the helmet has a very tough shell which offers a great deal of protection and durability. The helmet is also lightweight, compact, scratch resistant and equipped with a hard ABS outer-shell. 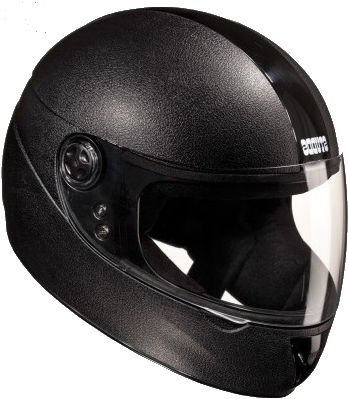 All said and done, the helmet is quite a catch at INR 890 @ Flipkart. The Steelbird Adonis is a BIS, ISI 4151 Certified dashing helmet, with an EPS padding on the inside which absorbs shocks and impacts whilst the shell on the outside is made of durable ABS material.The helmet has a removable visor, and air mesh fabric which helps maintain a regular circulation of fresh air inside the helmet. This hot selling helmet has an average rating of 4.1 stars, with mostly positive reviews. Matte Finish and Stylish look. Air Mesh Fabric prevents suffocation. Delivery charges a little on higher side. The Steelbird Adonis is a dashing helmet priced at INR 989 @ Flipkart. The Chrome elite is a top selling helmet from Studds with 4.3 star rating on Flipkart (based on 133 ratings). The bike features shock absorbent EPS padding, a dynamic ventilation system and a silicon coated scratch resistant anti-UV visor. The inners of the helmet are crafted with anti-allergic vevleteen linings which keep you comfortable and safe. The helmet is priced at INR 895 @ Flipkart. 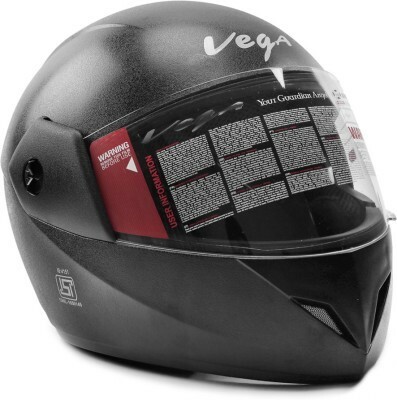 The Vega Cruiser is an open face helmet, ideal for both men and women. 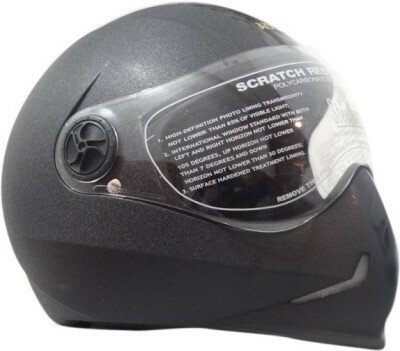 This helmet has an average of 4.1 star rating of Flipkart (based on 216 ratings), and mostly positive reviews. The cruiser helmet features a modern design, a silent chin strap lock and UV clear finishing that protects your eyes from harmful UV rays. The helmet is barely 898 grams in weight and very comfortable. Lacks ventilation grilles, hence not perfect for long rides. 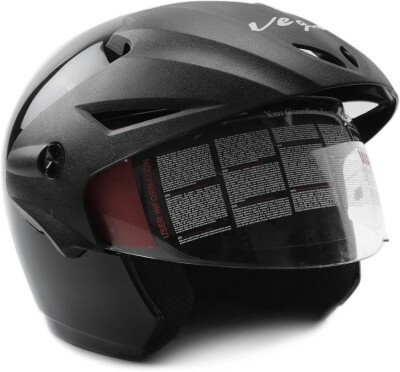 The Vega Cruiser is an Open face helmet priced at INR 953 @ Flipkart. 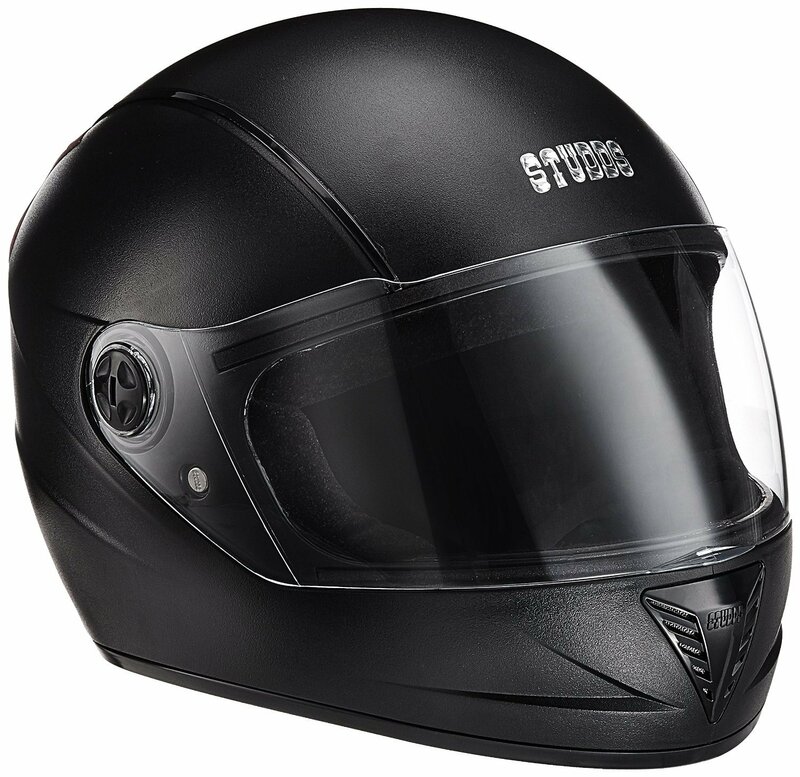 The Studds Professional Motorbike Helmet is very robust helmet, with the outer-shell injected with a special high impact grade of engineering thermoplastic. This helmet has over 4.2 star rating on Amazon, and mostly positive reviews. A dynamic ventilation system, reflectors on the back and an aerodynamic design. A little less cushion padding. Studds Professional Motorbike Helmet is priced at INR 995 @ Amazon.